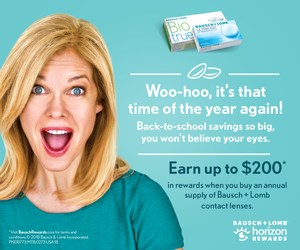 Please follow the instructions at the following sites to redeem your contact lens rebates. Contact our office if you have questions. 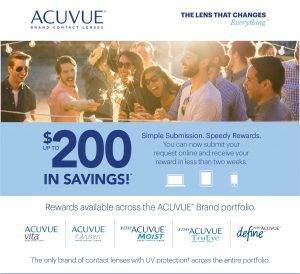 You will need a rebate form from our office that will have a unique code on it. 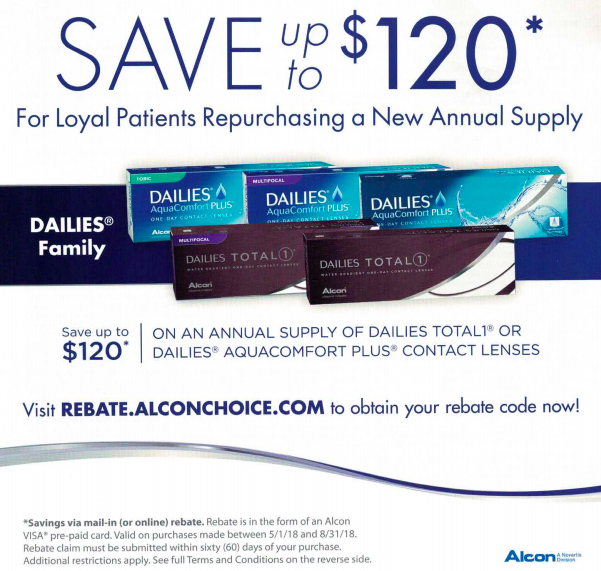 If you did not receive a rebate form, you can contact our office to get your code.